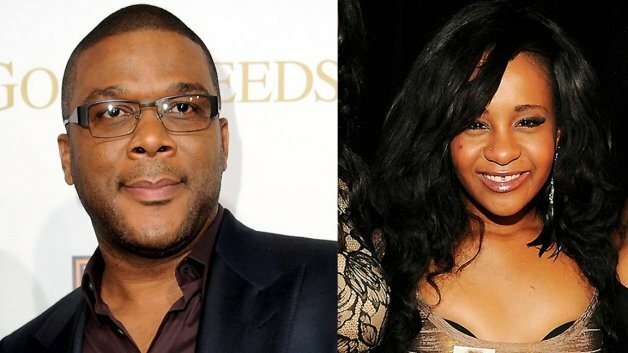 Filmmaker Tyler Perry was so afraid Bobbi Kristina Brown couldn’t act he only gave her a handful of lines for her appearance on his upcoming TV sitcom For Better Or Worse. Tyler Perry believed Bobbi Kristina Brown, 19, had the potential to be a star and wrote a part specifically for her – hoping that her work on set would take her mind off the tragedy surrounding her mother’s death in February. He was hesitant about Bobbi Kristina Brown’s abilities, but he admits he was blown away with her performance after her first day on set. Tyler Perry told ETonline.com: “I’m so proud of her because she said she wanted to act and I had a feeling she could but I wasn’t sure until she hit the set. He was recently forced to speak out against false reports suggesting Bobbi Kristina Brown walked off the set of For Better or Worse and urged the media to stop spreading rumors about the youngster.